Expectations of mass protest during the games have also gone unfulfilled- protests have continued, but most have been relatively small, short-lived and have not received much international attention. 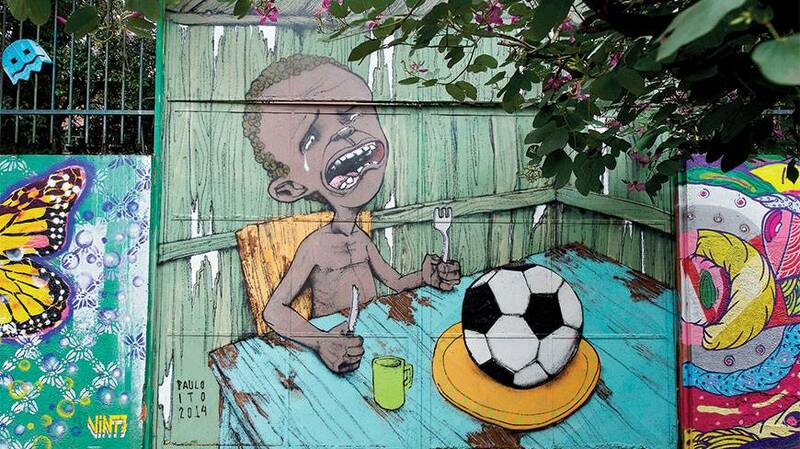 The story behind the diminished protests during the World Cup is interesting and important for Brazil’s future. 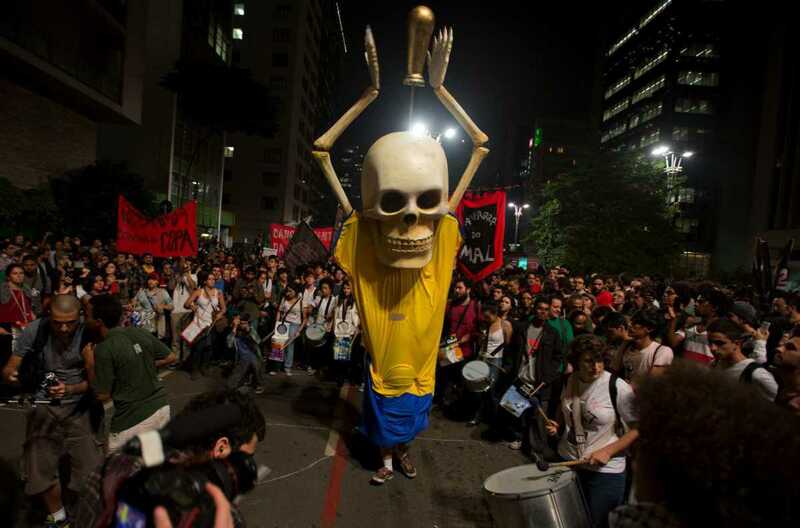 Massive protests paralyzed Brazil a year ago during the Confederations Cup. These protests united members of Brazil’s lower class, who are no strangers to political protest, with Brazil’s burgeoning middle class, who do not have a long history of taking to Brazil’s streets. Protesters’ complaints were numerous and ranged from urban bus fare increases and rapidly rising prices to pervasive corruption in government…all problems that $11 Billion in new stadium money for the World Cup could potentially combat. Beyond pointing out the disparity between politicians’ Cup spending and attention to systemic problems, the movements were also potential catalysts for broad social change because rarely have the middle and lower classes united to pursue a common goal. The government used carrots and sticks to discourage such protests and the movements ended up fracturing along class lines. How these dynamics occurred is instructive for future Brazilian politics. The Brazilian government also began to target specific groups and make concessions on individual policies as protest attendance waned and the movements began to fracture. 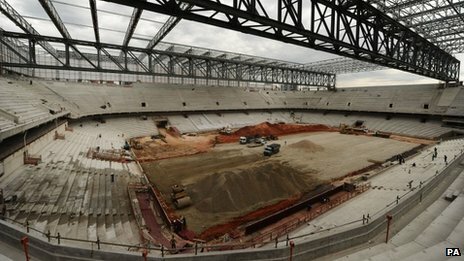 For instance, the movement to secure government housing for many of São Paulo’s homeless threatened to disrupt matches. The movement’s leaders then extracted government promises to build permanent public housing in the squatter’s camp near the São Paulo stadium. These concessions were much easier to make than broad, largely-incredible promises to clean up corruption or to redirect stadium funding after construction was well underway. The concessions also represent one successful tactic for neutralizing threatening coalitions that could undermine traditional patron-client relations. Making concessions to particular groups is often less expensive politically and economically than pursuing major, national reforms. Smaller groups then face selective incentives to leave broader protest coalitions provided the government gives them what they want. The result is a weaker social movement with less power to extract meaningful change from the government. Furthermore, coopting particular clients by meeting their needs also reinforces the position of the patron and renews the power of traditional politics in Brazil. In this way, the government can parry a new challenge to traditional politics with an old divide-and-conquer tactic: comprehensive reform does not occur, but some groups are better off and social stability returns. Yet, it would be a mistake to count Brazil’s protest movement out. The problems driving Brazilians into the streets are still present and will likely re-emerge following the World cup’s completion. Brazil will celebrate a World Cup victory, should they go on to win. 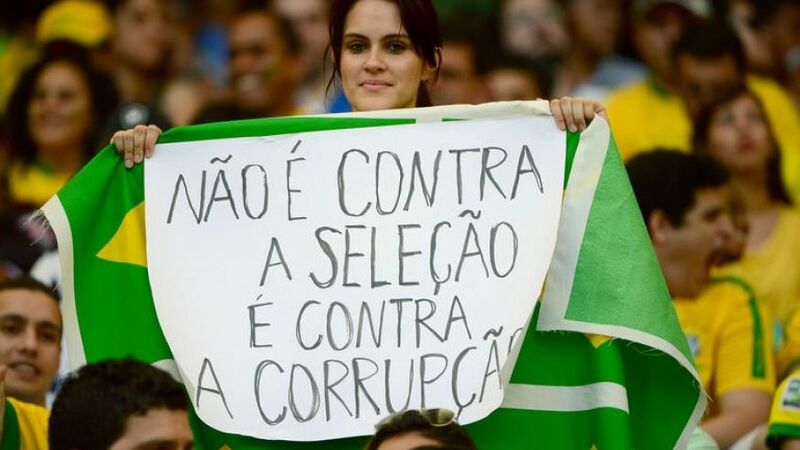 As this woman notes, the protests are against corruption, not the national team. However, the next item on Brazil’s agenda is early October’s presidential elections. Presidential politics have taken a back seat to the World Cup during the tournament, but August and September will be different. President Dilma Rouseff currently holds a tenuous lead in the polls and her re-election campaign will likely draw Brazilians with a wide variety of grievances against the government into the streets. A return to the massive protests of 2013 may not be in the cards, but the forces driving those movements are still present in Brazil. Moreover, Brazil’s problems are just as pervasive as last year. The upcoming election season is precisely the time when social movements could expect to gain concessions from many candidates- particularly those from President Rouseff’s traditionally pro-poor Workers’ Party (PT). Brazil’s World Cup has gone more smoothly than many expected, but don’t expect this to translate into a docile Brazilian public or a quiet election season. Fed-up Brazilians are only breaking for half-time and the protests that shook the country a year ago will likely return in the next few months. However, meaningful reform likely depends on Brazil’s lower class and the middle class uniting again to break clientelism’s hold.